November 5, 26 dead so far in the Sutherland, Texas church shooting. October 1, 58 dead in the Las Vegas shooting. September 10, 9 killed in a Plano, Texas shooting. You probably don’t even remember that one. And I’m not even mentioning the truck attack last week in NYC. Who knows what December will bring? I would like to believe that we won’t end the year with a bang but… well, you know. I’m watching coverage of this latest shooting and I already feel that it is being pushed to the back of our collective consciousness. These events are normal now. They have their own pattern, their own rhythm and cycle that they follow, one that we have witnessed hundreds of times before. So many times that the horror we feel is beginning to feel feigned, just thrown out there as an surface act of civility while in our minds we have already began the process of forgetting. Unfortunately, even when we turn away, it’s hard to find evidence that we aren’t living in a mad world. And there is no solace in the empty words of our titular leaders, an administration that is treating this country like a company that it acquired in a hostile takeover. That’s where the new owners come in and liquidate any viable assets for themselves, leaving the company a broken shell. You know, it’s going to be a year since the election in just a couple of days and I firmly believe that the actions of this administration have exceeded my fears. I thought they would be a little more discreet in their underhandedness but it seems like every day they reach a new level of audacity and corruption, both real and moral, that is breathtaking to behold. And some of us still defend them. And this acceptance, this normalization, provides a perfect backdrop for our acts of violence against each other. Just another day in this mad world. I played this song six months ago in a different context but on the all too many days like this, I find it running on a loop in my mind. It’s Gary Jules’ version of the Tears For Fears song, Mad World. Interesting video. Have a good day and don’t let this mad world become your normal. Remove the right to carry arms, solves a lot of problems. Remove the American right to carry arms, solves a lot of problems. Unfortunately, we are dealing with too much money and an ingrained sense of conspiracy here. Gary, the crazy darkness without will only grow as long as we allow it to. Until this country takes our gun problem seriously, we will be forced to repeat this sad outcome. The NRA tells us it’s not a gun problem, it’s a people problem… The President says it’s not a gun problem, it’s a mental health issue… Both are wrong, It’s a gun problem because we allow it to continue to allow guns in the hands of people who shouldn’t have guns! Yeah, I heard the Texas Atty. Gen say that this person didn’t heed the law against murder so he obviously wouldn’t be stopped by gun laws. It’s a ridiculous argument but it’s one that they will keep repeating ad infinitum. 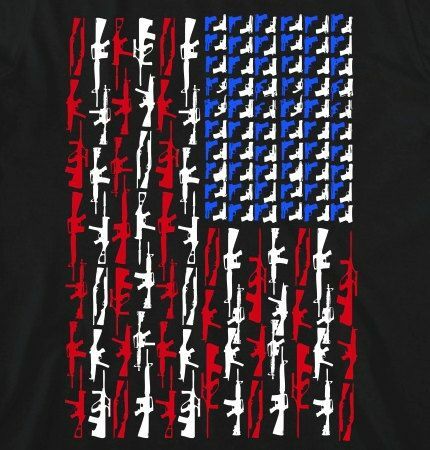 The thing that is never discussed is how the gun lobby and congress has stripped the ATF of any bite it might have in enforcing the current laws by severely underfunding the department. The laws are there but are often impotent as a result. I have always contended that if nothing would come from the Newtown school shooting with all those children, no effective regulation would ever come. Not 58 in Vegas or 26 in Texas yesterday. Our moral compass has been tainted with money and a population that are well fed on fear and conspiracies. But we’ll keep swinging. What else is there to do? Haunting song for haunted times. I remember it from Donnie Darko. Yeah, the one used in Donnie Darko– a haunting movie!– is this version from Gary Jule. The original fro Tears For Fears had more of that 80’s electropop sound. This is more spare and haunting.